The Queen celebrates her 93rd birthday on 21st April 2019 and the occasion is marked publicly by gun salutes in London. 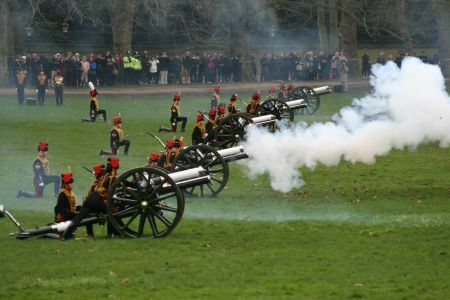 This year, the firing of the canons takes place the following day, Monday 22nd April 2019. There will be 41-round gun salute on the Parade Ground in Hyde Park at noon. Find out more about Royal Gun Salutes.